Lenovo has launched 4G LTE smartphone with a very powerful battery, the Lenovo P70. This smartphone is equipped with a 13-megapixel rear camera, even the P70 is a 4G smartphone with dual SIM slots, so you can save money to not have to have two phones. Two phone numbers in one smartphone is great whether you're separating business and pleasure, travelling to a different country, or simply want to take advantage of different service providers to save money. The P70 use a new Android 4.4 Kit Kat operating system. Takes system performance to an all-time high by improving touchscreen responsiveness and accuracy optimizing memory. This means you can listen to your favorite music while browsing the web, or race down the highway with the latest hit game, all without a hitch. The Lenovo P70 is equipped with a MediaTek True8Core processor, the P70 delivers a superb multimedia experience. Combining astonishing performance with outstanding energy efficiency, the cutting-edge eight-core technology is supported by up to 2GB of RAM for seamless responsiveness, so it’s great for multi tasking activities. 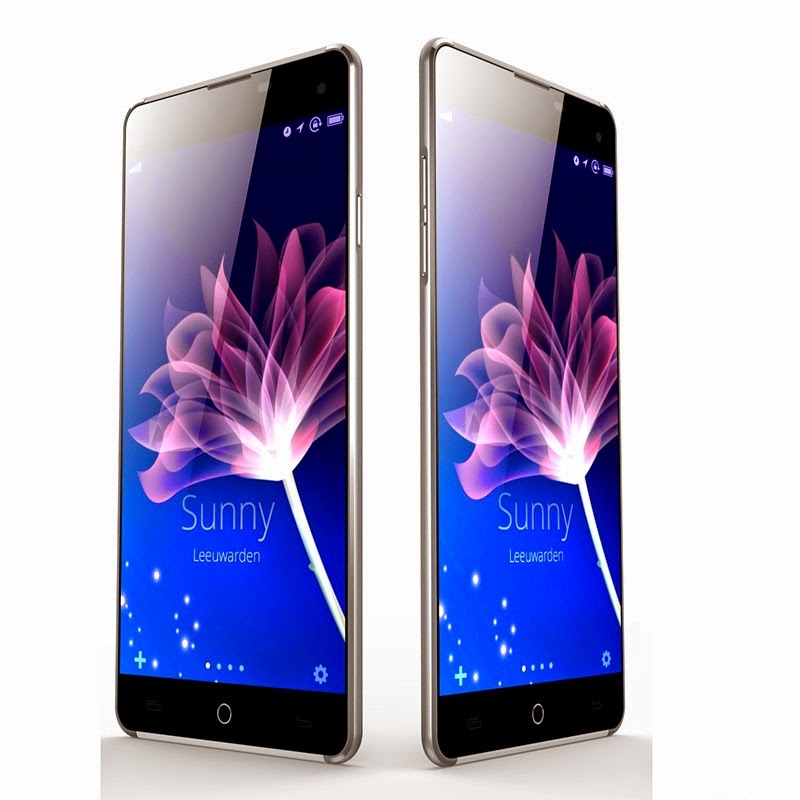 This hot smartphone is powered with a 1.7GHz octa-core MT6752 processor coupled with 2GB of RAM and Mali T760-MP2 GPU. The Lenovo P70 comes with 16GB of inbuilt storage, which is further expandable via microSD card up to 32GB. The P70 lets you snap superb 13MP photos and brililiant 5MP selfies with a new simplified interface. You will enjoy multiple shooting modes give you creative flexibility, beautification features keep you looking young, and gesture control gives you more freedom. You can create any variety of photos, even the selfie fans will be very happy because the 5 megapixel camera on the front of the camera will create great photos. It sports a 13-megapixel autofocus rear camera with LED flash while there is a 5-megapixel fixed-focus front-facing camera also on board. Lenovo P70 has a 5 inch HD IPS Display (720x1280 pixels), so you can enjoy the latest photos, video, apps, and games at their purest. The in-plane switching (IPS) display also allows for nearly 180-degrees of wide-angle viewing. 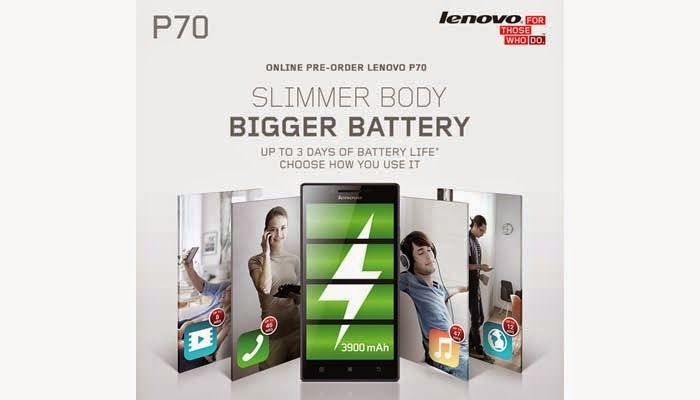 The P70 has Built-in Lenovo Apps which is let you and your device do more. In a few clicks, for instance, you can share data with other devices without a network, optimize device performance, prevent malware and viruses, or back up your contacts, SMS, and call logs. Are you ready for a fantastic speed? The Lenovo P70 supports high-speed LTE (4G) networks for the fastest data connectivity, helping you reach your full enjoyment potential when browsing, watching, gaming or chatting online. You will enjoy a fantastic Android 4.4 KitKat and USB On-The-Go Charging (OTG), so you can recharge the battery of your other devices by plugging them into the P70 with the USB On-the-Go cable (included). You can also share data with other PCs, tablets, and smartphones. Apart from 4G LTE, the Lenovo P70 offers 3G, GPRS/ EDGE, GPS/ A-GPS, Micro-USB, Wi-Fi 802.11 b/g/n, and Bluetooth connectivity options.